Cost– an aluminum fence costs considerably less than an iron one. This is because the metals used in an aluminum fence are manufactured therefore making them less expensive. Does not Rust – an aluminum fence does not rust, this keeps the fence looking great longer without having to do any work on it. Low Maintenance– an aluminum fence doesn’t need to be constantly painted and it doesn’t rust making it very easy to maintain. 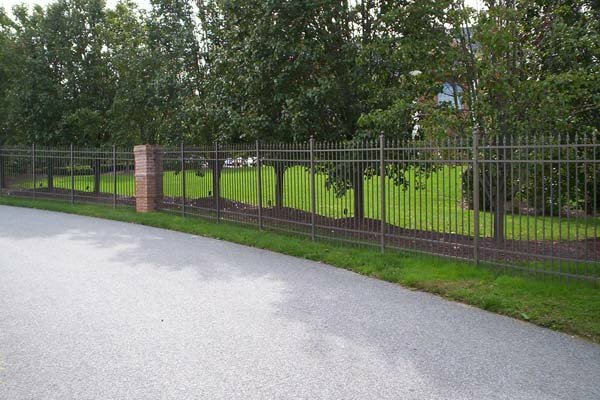 Security – an aluminum fence is a great way to keep your property safe. A wood fence can be easily scaled and a chain link fence can be easily scaled. An aluminum fence with spear topped pickets is much harder to climb. If you are in the market for a wood fence, Freedom Fence & Home has got you covered. We offer many different types of fences; a trained commercial salesperson can explain what product is right for you. This entry was posted on Friday, June 21st, 2013	at 1:58 pm	. Both comments and pings are currently closed.